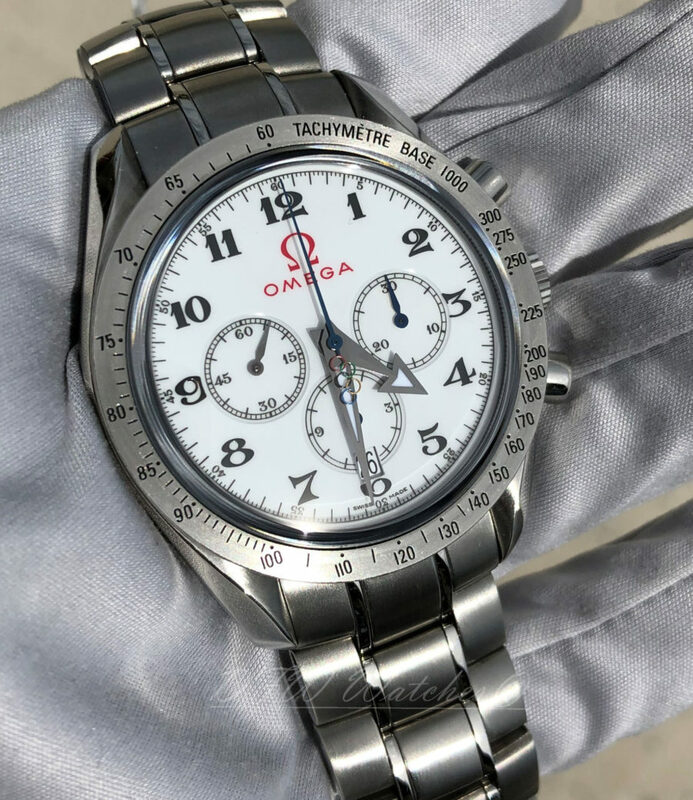 Pre-owned Omega Speedmaster Broad Arrow Specialties Olympics 321.10.42.50.04.001 in mint condition. 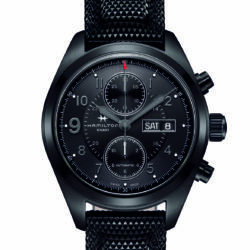 This 42mm piece was created to commemorate Omega’s long running role as Official Timekeeper of the Olympic Games. 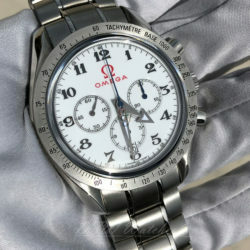 It has a bright white dial with Arabic numerals and Olympic rings as the counterweight to the chronograph hand. 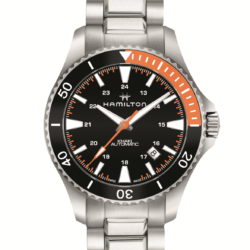 This has a brushed stainless steel case and bracelet. 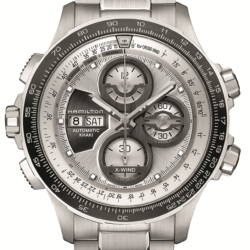 This features the automatic chronograph 3313 calibre movement. 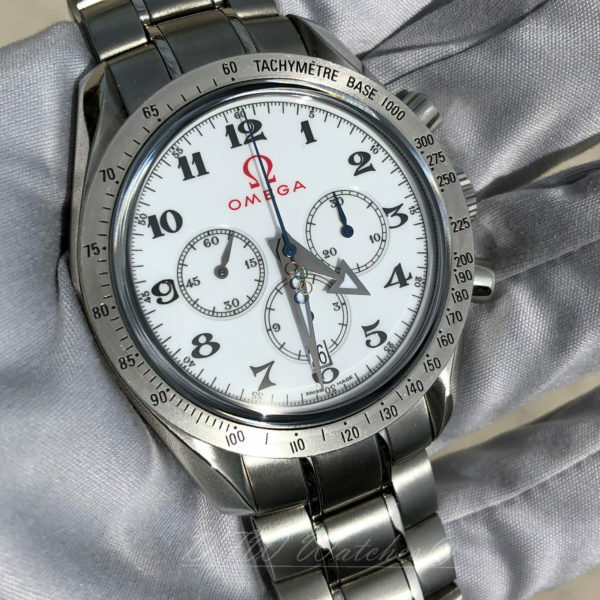 This comes with original Omega boxes, manual, pictogram card, warranty card, and one year DFW Watches warranty. The front panel of the cardboard box is broken. 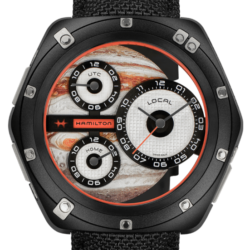 All pictures are of the actual item being sold.